Seray Class Apartments is an inuque budget holiday hotel apartments which is located in Gumbet Bodrum. It's close to everything but far enough away! Family-run holiday hotel and apartments are modern in style with plenty of facilities in Gumbet Bodrum. The friendly atmosphere combined with the close proximity of the sandy Gumbet Beach and Night Clubs just a few steps away and with resort amenities make for a great holiday. Featured amenities include dry cleaning/laundry services, a 24-hour front desk, and coffee/tea in a common area. A roundtrip airport shuttle is available for a surcharge. 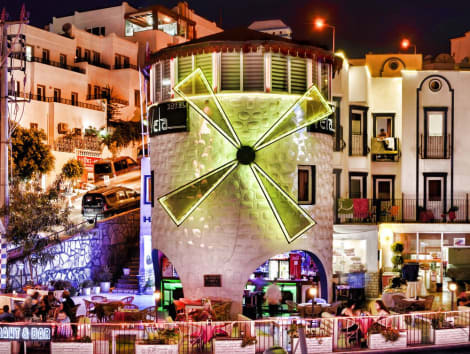 With a stay at Club Vela Hotel - All Inclusive in Bodrum (Bodrum City Center), you'll be within a 15-minute drive of Bodrum Beach and Bitez Beach. This all-inclusive hotel is 4.9 mi (7.9 km) from Camel Beach and 16.4 mi (26.4 km) from Port of Kos. Grab a bite to eat at the Nova, a restaurant where you can take in the pool view, or stay in and take advantage of 24-hour room service. Wrap up your day with a drink at the poolside bar. Hotel Turihan, which is located BODRUM Gumbet beach, would like to offer you the vacation that you have been searching for. Professional Staff makes you feel like you are home! Make yourself at home in one of the 155 air-conditioned rooms featuring refrigerators. Rooms have private furnished balconies. Complimentary wireless Internet access keeps you connected, and satellite programming is available for your entertainment. Private bathrooms with bathtubs or showers feature complimentary toiletries and hair dryers.